**NOTE:** This product is for those who want to buy our new JHM R Series Clutch Kit only (pressure plate and clutch disc) and purchased our 2.7T Lightweight Flywheel prior to August 28th, 2014. If you are interested in purchasing the JHM Lightweight Flywheel and R Series Clutch Combo for the 2.7T, please go back one section and at that item to your cart. The design of the R Series pressure plate required an update to the current JHM Lightweight Flywheel for the 2.7T - the spring package of the R Series Clutch Disc is too heavy duty for the old flywheel design. If you already have a JHM Lightweight Flywheel from before August 28th, 2014 and want to upgrade your clutch setup to our new R Series Clutch, you can send your flywheel to JHM where we will perform the modification. This modification includes performing the new Version 2 counter bore service on your flywheel which allows for the bolt hole mounting change. This service also includes the new reusable hardware kit for this V2 flywheel: 8 bolts and 8 thick washers. Once this service is performed, your flywheel will be at our new V2 specification and work with both our R Series clutches and RS4 pressure plate based clutches that came with our original V1 flywheel. Make sure to go back one section and add the "R Series Clutch fpr N5-S4, C5 A6-allroad w 2.7T" to your cart. This modification service can only be purchased with a new JHM R Series Clutch Kit. 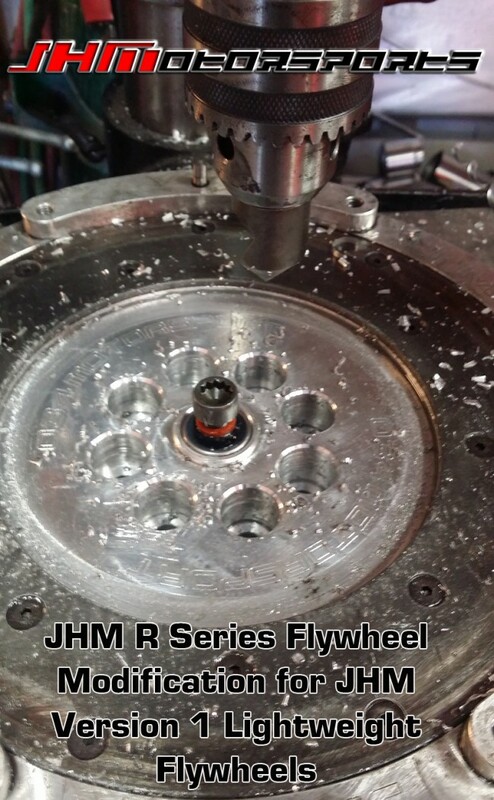 It will include a free shipping label for sending your Version 1 (pre August 28th, 2014) Lightweight Flywheel to JHM where we will perform the modifications to your flywheel. Once the modification is complete, we will send back your newly modified flywheel with your brand new R Series Clutch Kit along with all the new bolts and hardware required for the installation of the Clutch and Lightweight Flywheel.